The great blue herons are fascinating birds, as you can see in this Audubon link. It was one of the first "unusual" birds I discovered in Central Park, and was one of the first birds featured in a Silly Video. On Dec. 20, 2018, a great blue heron flew over the Pond and landed at the south end, then proceeded to waltz up the water before taking off again. There is a pool at Green-Wood Cemetery in Brooklyn called Sylvan Water. 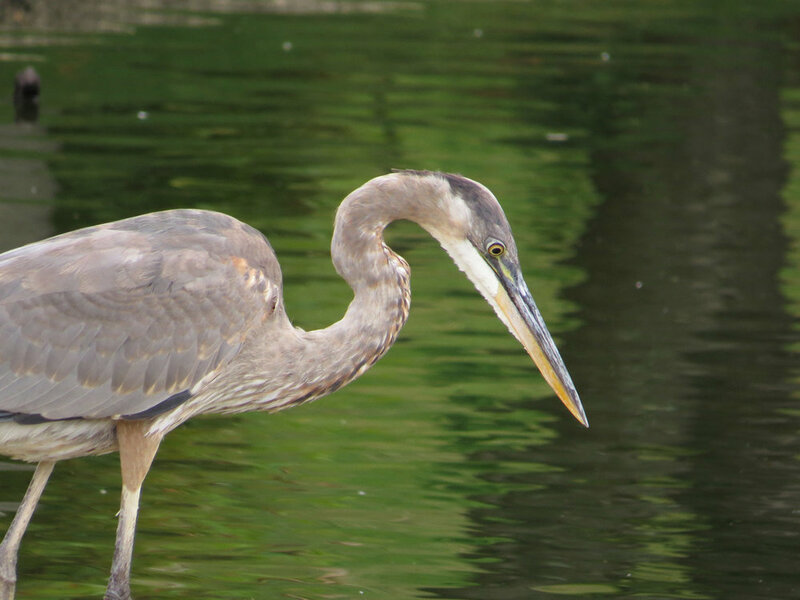 On Sept. 28, 2016, a great blue heron was studying the water at the little pond, hoping for fish. The Filming the Feathers video of this handsome heron features some flight shots. It is set to music by Grieg. These photos are also of the Green-Wood heron. I have seen great blue herons in Central Park, Prospect Park, Inwood Park (at Muscota Marsh) and Green-Wood Cemetery. There might have been sightings in other locations. I will be posting more videos and photos at some point of some of these birds. Central Park is a stopover for great blue herons throughout the year. My favorite place to watch them is the Pond at 59th Street, but we can see them at the Lake, the Meer, Turtle Pond, and sometimes the Reservoir. One of the first Silly Videos I did is called My Blue Heron. I filmed it on my Samsung cellphone on Jan. 13, 2013. 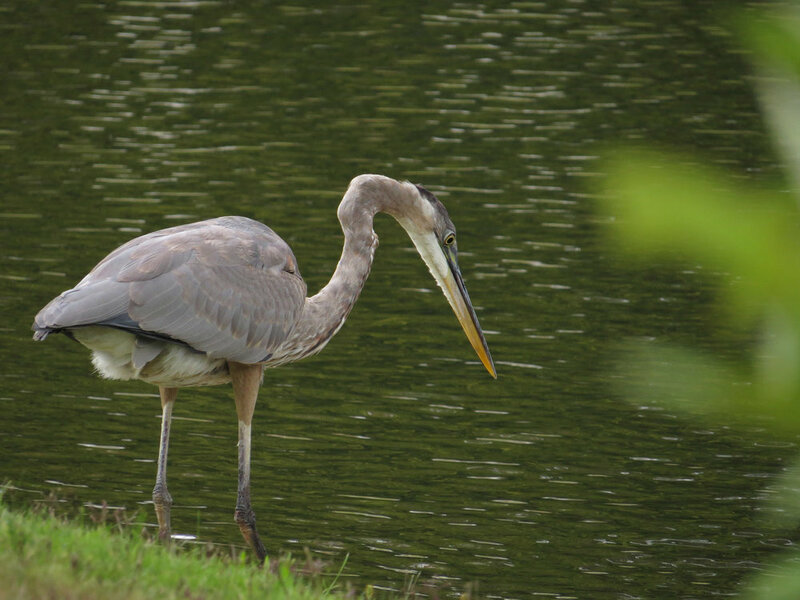 This video featured a great blue heron seen at the Upper Lobe of the Lake, as well as other locations around the Lake.